One indie musician says Connect needs to make it easier for artists to publish and promote their work. Apple Music’s Connect is designed to foster connections between artists and fans, but there’s not much to love yet on either front. For listeners, Connect is pretty bare-bones and hasn’t offered much in the way of new content. Musician and iOS app designer Dave Wiskus says it’s not great for artists yet, either. Embedding a song to share on the platform is riddled with difficulties, a far cry from the ease of uploading to SoundCloud. Artists have to make the clip they want to post available in My Music, which requires importing the track to iTunes (which can be its own special kind of hell). Posting the track can be glitchy—the form artists have to fill out wouldn’t allow Wiskus to publish his song until he found a bizarre fix. You can’t edit a live post, and deleting one isn’t as easy as it could be. But the biggest problem Wiskus found is that there are few tools to help artists beyond the publishing aspect. Musicians can’t see how many followers they have. They can’t reach out to potential fans. Wiskus said Apple needs to listen to independent artists to find out what they need from a platform like Connect. In its early days, Apple Music isn’t as easy to use as it should be for both artists and fans. Apple Music’s social platform offers little-known artists the chance to get instant widespread exposure, because the app features new material uploaded to Connect in the New tab—and now musicians can upload material to Connect straight from GarageBand. People can comment on Connect posts and give feedback on new material, and the discourse is overall more positive on Music than on Twitter. 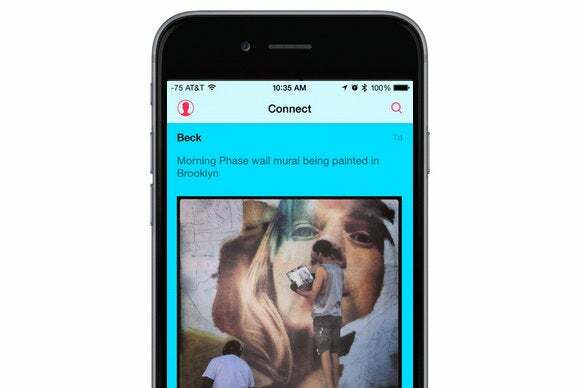 Connect has potential to be a cool space for both artists and fans, and it sounds like Apple is open to feedback to avoid failing a second time at a music-based social network. But if you’re done with Apple’s social experiments, you can always turn off Connect altogether with this guide.